We are very pleased to announce the recent acquisition of a haunting and beautiful portfolio of exhibition prints entitled All this has come upon us…, created by Dr. Mark Podwal. This series of images was created for an exhibition at the Terezin Ghetto Museum from April to July 2014. The series includes images relating to all aspects of Jewish history, with a verse from Psalms on the facing page which exemplifies the event. (The image on the left represents the 1899 Polna Blood Libel.) The portfolio will be housed in the Book Arts Collection in the Rare Book and Manuscript Library. This entry was posted in Uncategorized and tagged book_arts, Holocaust, New Aquisitions, RBML on June 19, 2014 by Michelle. The Shoah Visual History Archive is largest database of first-person Holocaust testimonies, founded by Steven Spielberg. With over 50,000 testimonies from Holocaust survivors and liberators, carefully indexed in short segments for ease of searchability and use, the VHA is a tremendous resource for the history of the Holocaust. Recently, the VHA has expanded to include other genocides, and now also holds 65 indexed testimonies of survivors from the 1994 Rwandan Tutsi Genocide. To search the database, visit the Visual History Archive. Once you create a username and password, you will be allowed access to the tremendous index within the database. You can search by basic keyword, but also limit by qualifiers like "Warsaw" or 'ghetto bribery," to narrow your search and make it extremely specific. Due to the large size of the database, the videos are not held locally at Columbia, but are uploaded upon request to a Columbia server. Once you find a testimony that looks appropriate for your research, click on the link to "request this testimony." You will receive an email notification when it is available for viewing. Because the uploaded videos are held on a Columbia server, the testimonies can only be viewed on the physical campus. If you are not in New York, or can't get to Columbia, you can view testimonies at one of many access sites located around the world. This entry was posted in Uncategorized and tagged Africa, Holocaust, Primary Sources on April 24, 2013 by Michelle. The Joint Distribution Committee (JDC) has been helping Jews around the world since its inception at the onset of World War I in 1914. Its archives have long been a resource for scholars researching Jewish immigration, anti-semitism, Jewish aid, geneology, and many other topics. Now, for the first time, the JDC Archives from 1914-1932 are available online here. According to the website, "The vast digital collection contains searchable text collections from 1914-1932, a detailed interactive timeline, historically-themed exhibitions, over 45,000 photographs, findings aids, educational resources, relevant archives news and more. The JDC Archives houses one of the most significant collections in the world for the study of modern Jewish history and attests to JDC's relief, rescue and rehabilitation activities from its inception in 1914 to the present." The archive includes a text-searchable document database, photographs from over 70 countries, and a timeline of Jewish (and JDC) history by decade. This entry was posted in Primary Sources and tagged American, digital, Holocaust, immigration, Israel, Joint_Distribution_Center, manuscripts, Primary Sources, World War II on March 19, 2012 by Michelle. It is true that the business of doing history in today’s internet age has become much easier, but there are still a tremendous amount of resources that are only available physically. One example of this is archives, or collections of papers (personal or institutional). Archives can range from the very small (one or two folders) to the very large (hundreds of boxes). The latter form is very rarely digitized due to its great size and the tremendous effort involved with digitization and cataloging. There are some archival collections that have been digitized, however, such as the Confidential Print: Middle East papers, the Nuremberg Trials Project, or, recently, the Milstein Family Jewish Communal Archives Project. Not all digitized archives are available everywhere, like the Hannah Arendt papers at the Library of Congress, which are available only on-site at LC, at The New School (here in NYC), and at the Hannah Arendt Center at the University of Oldenburg, Germany. 1) ArchiveGrid: According to their own description, "Thousands of libraries, museums, and archives have contributed nearly a million collection descriptions to ArchiveGrid." These descriptions are text-searchable, and so it is easy to search by name or topic to find papers relating to an individual. A recent search for famous Columbia professor Salo Baron, for example, revealed content in nearly 90 institutions, including, of course, his personal papers at Stanford University. 2) ArchiveFinder, formerly known as ArchivesUSA is a "current directory which describes over 220,000 collections of primary source material housed in thousands of repositories across the United States, the United Kingdom and Ireland." 3) Worldcat, the catalog of catalogs, now includes archives as well. It is not as comprehensive as the first two, as it does not include items that have not been entered into the instution’s online catalog, but it often includes the smaller collections, which may not have their own comprehensive finding aids due to their size. For more information about archival collections, including a description of some of the major archives around the world, see the RBML’s excellent Archives and Manuscripts Guide. This entry was posted in Uncategorized and tagged Archives, Arendt_Hannah, Baron, digital, Holocaust, Israel, New_School, Nuremburg trials, Primary Sources, Salo on January 4, 2012 by Michelle. As part of a purchase of a major database collection, Columbia now has access to "Intergovernmental Committee on Refugees: The West’s Response to Jewish Emigration." The Intergovernmental Committee on Refugees (IGCR) was organized in London in August 1938 as a result of the Evian Conference of July 1938. The Evian Conference was called by President Franklin Roosevelt outside the formal framework of the League of Nations "for the primary purpose of facilitating involuntary emigration from Germany (including Austria)" of "persons who have not already left their country of origin (Germany, including Austria), but who must emigrate on account of their political opinions, religious beliefs or racial origin, and persons who have already left their country of origin and who have not yet established themselves permanently elsewhere." For the first time, there was discussion on extending protection to would-be refugees inside the country of potential departure, particularly central Europe. The IGCR, however, received little authority and almost no funds or support from its member nations for resettlement of refugees from Europe in countries allowing permanent immigration, and it had little success in opening countries to refugees. The first director of the IGCR was George Rublee, an American lawyer, who opened negotiations with Hjalmar Schacht, the President of the German Central Bank in December 1938. After Schacht was removed from his post, the negotiations went on with Helmut Wohltat of the Ministry of Economy. As a result of the negotiations they called for the creation of a fund, to be guaranteed by the Jewish property in Germany, and a Coordinating Foundation in order to finance the emigration of 400,000 Jews from Germany. The attempts of the IGCR to find havens for German Jews in different countries largely failed. At the Anglo-American conference at Bermuda in April 1943, recommendations were made to the Committee and adopted in August 1943 for an extension of its mandate and structure in order to take into account not only immediately urgent situations but also the longer-term problems of the postwar period. After the establishment of the United Nations Relief and Rehabilitation Administration the Committee’s responsibilities were limited to refugees in areas in which that Administration was not active and to refugees who for one reason or another did not come within the jurisdiction of the Administration, such as stateless refugees. In July 1944, 37 governments participated in the work of the Committee. Of these, representatives of nine countries, including the United States, served on its Executive Committee. The primary responsibility for determining the policy of the United States with regard to the Committee was that of the Department of State. It ceased to exist in 1947, and its functions and records were transferred to the International Refugee Organization of the United Nations. 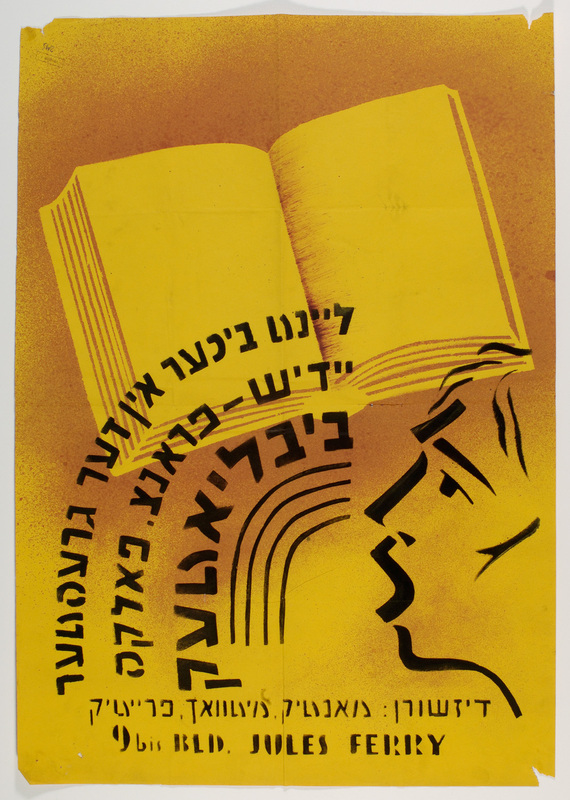 This database, part of the Archives Unbound collection, is critical for understanding the governmental response to the "Jewish problem" as Jews (and others) fled Nazi-occupied Europe before and during the war. The database can be accessed by clicking on the link above, and then clicking "Browse Collections" and clicking on the "Intergovernmental Committee on Refugees: The West’s Response to Jewish Emigration" link. We are working on making a direct link to the Jewish Immigration site, and I will post an update when the direct link is available. This entry was posted in Uncategorized and tagged American, digital, Full-text, Holocaust, immigration, Primary Sources, World War II on June 1, 2011 by Michelle. "The Harvard Law School Library has approximately one million pages of documents relating to the trial of military and political leaders of Nazi Germany before the International Military Tribunal (IMT) and to the twelve trials of other accused war criminals before the United States Nuremberg Military Tribunals (NMT)." The Law Library has undertaken a tremendous project to digitize these documents and make them available to the general public. You can find these important primary source documents, which include " trial transcripts, briefs, document books, evidence files, and other papers," here, at the Nuremberg Trials Project website. They currently have 13,904 images digitized, in addition to "keyed text of the first seven days of court proceedings in the Case 1 trial transcript (through December 13, 1946: approximately 500 pages)." The site is also fully searchable. 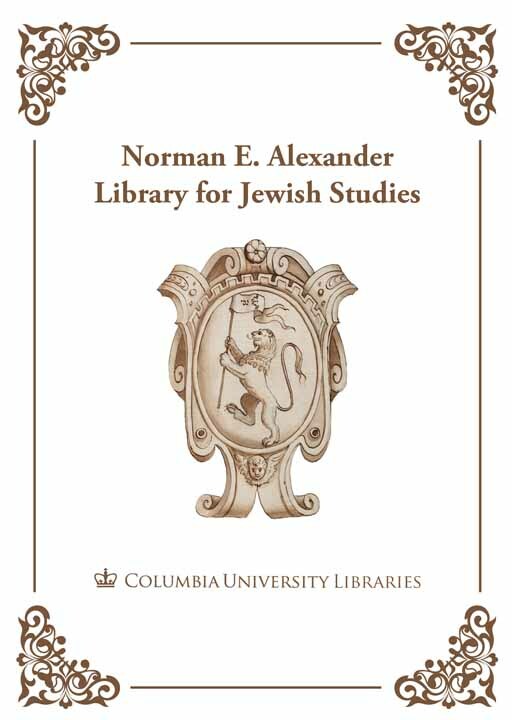 This is an incredible resource for a very important time in Jewish History. This entry was posted in Primary Sources, Uncategorized and tagged Full-text, Holocaust, Nuremburg trials, Primary Sources on February 18, 2011 by Michelle.